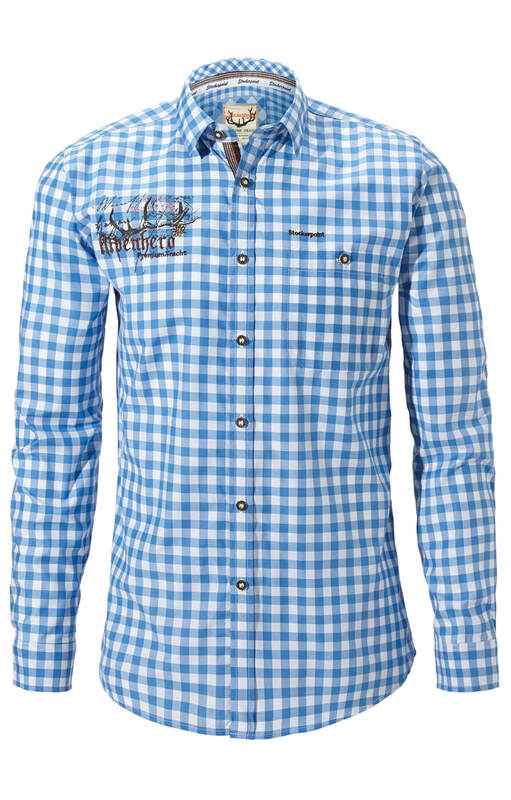 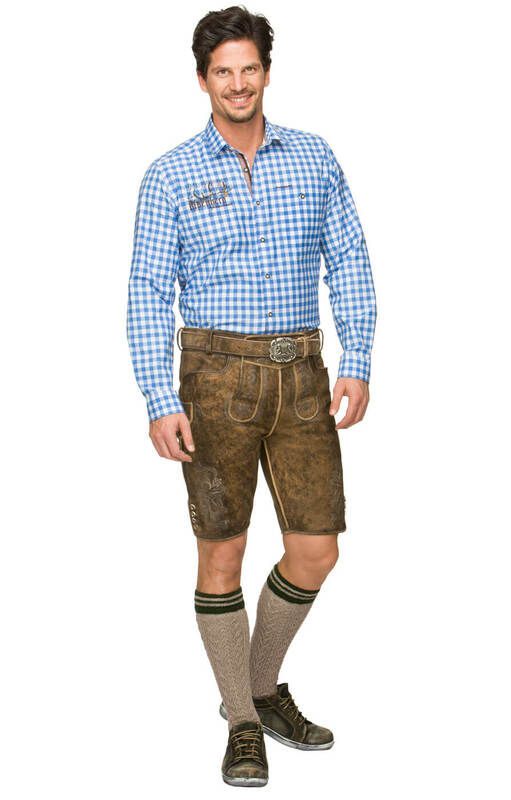 Oktoberfest Trachten Shirt Jim in Azure. 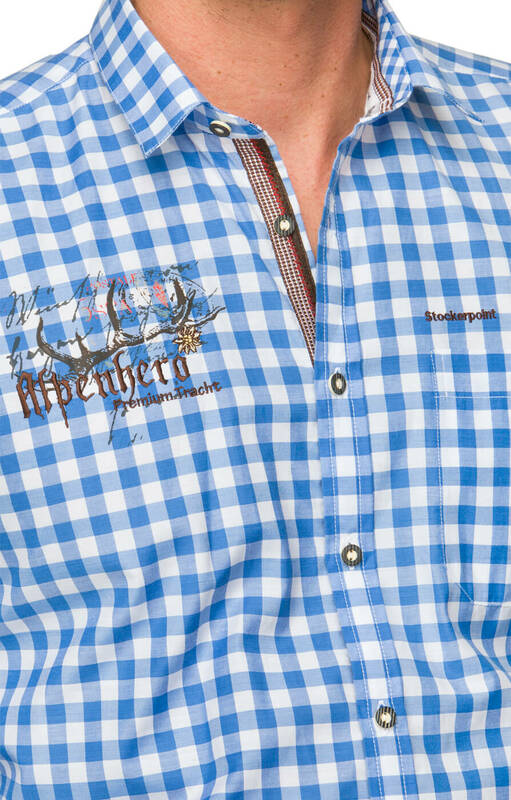 The Jim shirt in a bright azure will be a great addition to your Trachten wardbrobe, having a rustic charm ready for Oktoberfest. 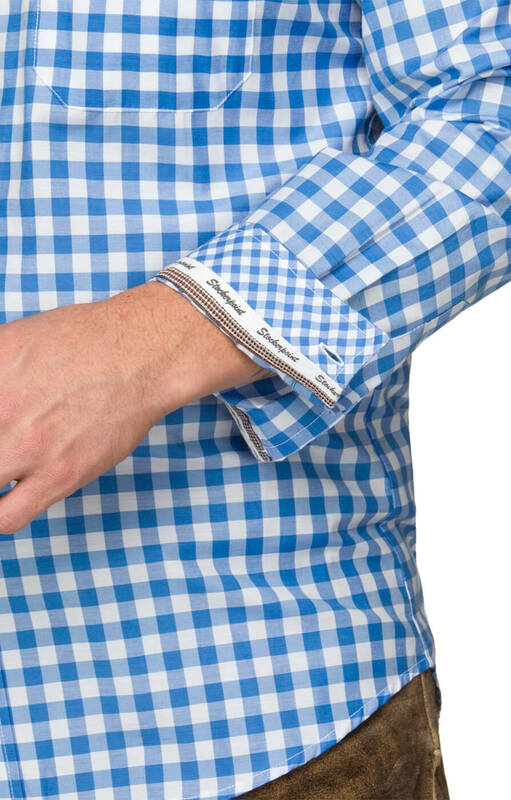 Worn with jeans and trainers or trousers and dress shoes, this long-sleeved shirt will suit any physique and will add a pleasing splash of colour to any outfit. 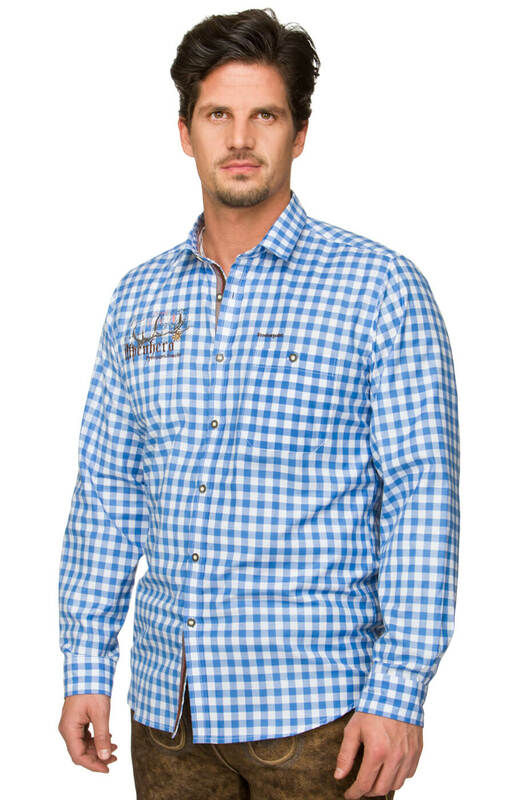 Featuring the Stockerpoint Alpenhero motif on the right side of the chest, a pocket detail on the left side and branded cuffs, collar and placket, you can be sure to stand out wearing this eye-catching gingham shirt. 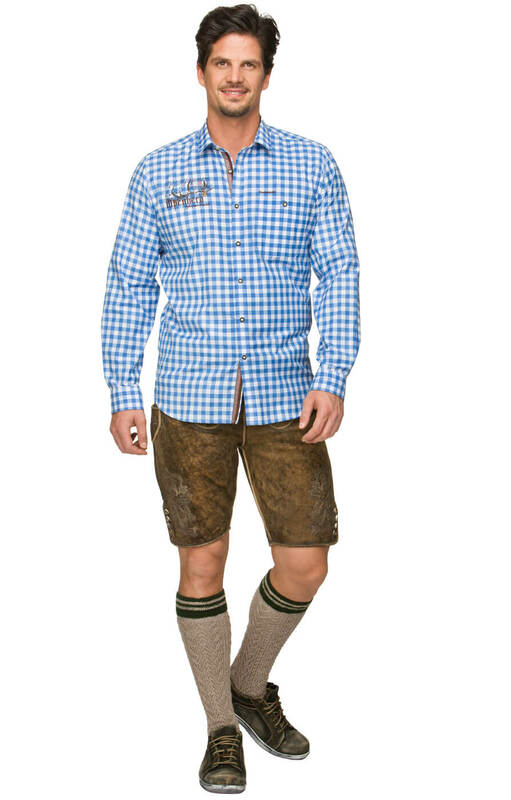 Qualität und Verarbeitung sehr gut, der Preis ist angemessen.